The Collegiate Loop was everything I expected from this ~165-loop that is quickly becoming a vacation length thru-hike favorite. Rather than give a day-by-day description of my walk, I’ll just go over the highlights and the particular way I traveled on this loop. Monarch Crest has ample trailhead parking, is an easy place to drive from my current home and ended up making for a scenic last day. I parked well off the main area and not near the business. The parking area is a USFS trailhead. I started later than customary for me at 2:30 PM. But I enjoyed my morning campsite, some coffee, and danish earlier in the day and was in no rush to leave I must admit. A fair trade-off. Being a loop, a person can theoretically park anywhere along the loop of course. But parking at Monarch Crest splits the loop nearly in half between the Collegiate East and Collegiate West sections. The other logical place to park for similar reasons is near Twin Lakes. The Collegiate East is lower in elevation, less remote, more sheltered, and is more attractive to day use. The tread tends to be older trail that often pre-dates the CT, and connects many popular 14er trailheads and other higher day use areas. Having said all of the above, there are many enjoyable stretches in this section. Or skirting just below treeline to see the mountains above. I decided to do the Collegiate East portion first as I could start with only two days of food, resupply with two more days worth of supplies, and then head to the start of the Collegiate West portion with a larger food carry. Coming straight from a desk job only two days earlier, I thought this would be a wise strategy. The Collegiate West is concurrent with the Continental Divide Trail, is higher in elevation overall, is more remote and feels like a backpacker trail more so than a popular day hiker set of trails. Overall, The Collegiate West portion of the loop has more eye candy and grandeur. 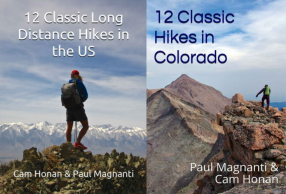 In some ways, the hiking is easier as you are not going from one low trailhead at a road, climbing up to where a 14er trail splits from the CT, then going back down to repeat the process. The Collegiate West portion tends to have long sustained climbs to a pass and then cruising along at or near a ridge for a bit. Again, classic backpackers terrain. Much, not all, of the tread is new, too. Oh, did I mention the alpine eye candy? I enjoy the crisp and cool nights, the changing colors of aspens and the russet ground cover, and that delicious musky smell that happens in the Fall esp after a fresh rainfall. And Autumn also brings out the beauty of the trail that is often overlooked when powering up to a mountain pass. And on my last day, I saw this animal ambling in front of me at a distance. I perhaps should have moved closer to get into an ideal position to get a better shot. But there’s a word for that action when dealing with an animal that is bigger, stronger, and faster than me that I would rather not startle: STUPID. Any backpacking trip has highlights that seem to stick out. One moment was seeing the crystal clear water of a small tarn below the Continental Divide. Another moment was the setting sun at my campsite just off the trail one fine Fall evening. And twilight at Hancock Lake at the cusp of treeline. And the many moments of enjoying the alpine terrain that most people associate with Colorado backpacking. Bill Manning, the Executive Director of The Colorado Trail Foundation, recruited me to replace older markers of The Colorado Trail. Mainly sun bleached, weathered ones. And to get the CT/CDT markers to the same standard. A hammer, nails, screwdriver, nail claw, and many metal markers is not a regular part of my kit. 🙂 I started off with CT markers and picked up another batch of CT and CDT markers at Twin Lakes. The weight was equivalent to three or four days extra of food. The trail work and extra weight did slow me down somewhat. Rather than finish mid to late morning Thursday as I would expect with my usual pace, I finished mid-afternoon. Not that much of an inconvenience. And I was happy to do volunteer work while backpacking. As I mentioned previously, all I took was the databook and the NatGeo Collegiate Loop map booklet. The databook was extremely handy to gauge what was up ahead regarding water resources or other trail datapoints. And the map booklet packs a lot in a small package. At the 75,000 scale, the details were enough for the on trail navigation but also have enough of the wider view. Apps are great. But for a well-marked trail such as the CT, far quicker to look at a map to see what is ahead or plan out the day. Both resources were in my pocket, easy to reach, and faster to look at then turning on my phone. I do not enjoy hiking a narrow corridor without knowing what is ahead or around me. And with my map, I was able to find campsites that aren’t listed in the databook (dry campsites mainly). YMMV. No bear canister needed. Please see see my guide for more information. Permits are not needed to hike The Collegiate Loop. My resupply spots were Twin Lakes and Princeton Hot Springs. Both places were very hiker friendly. My pace and what I can comfortably carry in terms of weight made this resupply strategy work for me. With the closure of Cottonwood Pass road in 2017, 2018, and possibly 2019, some creative resupply options may need to be done by most, however. 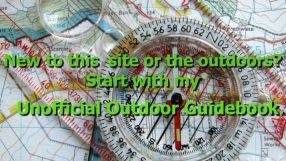 See my guide for more information. Want more photos? See all seventy-five photos on my Flickr site. Overall impressions: The Collegiate Loop is a suitable vacation hike for those who want a bit of a long trail hiking experience without a lot of logistic hoops. Though I generally shy from well-marked and popular longer routes at this point, The Collegiate Loop was perfect for my needs. A way to simply walk without having to put a lot of thought into navigation, procuring maps, and only having limited time to prepare. The hike was a good way to transition from the beige box world to the life I plan to set up for myself in the coming months. Very cool, Paul Mags, thanks for photographing and writing about this great CT Collegiate Loop. I have hiked the 14ers in the Collegiate peaks so I am at least familiar with the area this time. Sounds like you had a great time! I just finished the CT for the first time using the eastern side of the loop (so I could meet my wife and resupply in Buena Vista) but am looking forward to catching the western side sometime soon. Another great reason to take the direction you did is to get the 5.I miles of roads out of the way early in the trip. Also, thanks for the maintenance work on the CT markers. Glad you enjoyed the trip! Yep, the best way to go lighter is not what you take…but rather what you DON’T take! FAll is my absolute favorite time to backpack. Have fun! Thanks! I took them with a Canon G3X. Great article and the pics are fantastic. Glad it was hugely successful and thanks for the trail work. My wife would have tried to get a selfie with the bear. Would have been great to see you out there; I’m guessing we didn’t cross routes. THANK you for everything: the guidebook, the markers, the scouting over and over. Really, really appreciated. My pleasure. Glad you enjoyed your walk! Great report and photos. On my list for 2018, either section hiking, loops or the whole enchilada. Great trip report Mags! I’ve recently read your posts about the Tahoe Rim Trail and the Collegiate Loop and got great info from them (especially the piece about not needing to do a lettered trail in order to enjoy the outdoors). I scrapped my plans to do the TRT and was looking to take a chunk of a trail/trails to do a 50-70 mile hike. The Collegiate loop seems great but for a Southern Californian like me the 14+ hour drive is a bit too much. What are your thoughts about doing a solo hike on a section of the CT from Silverton to Durango? The drive to Durango from Cali is a slightly more manageable 12 hours (plus the 3 hs train to Silverton). I’ve been wanting to do some backpacking in Colorado for quite some time and I’ve heard you talk about the San Juans before. Your pictures seem stunning and it has just the kind of alpine views I’m looking for. I was thinking mid July for a start. Is that stretch of the CT worth driving 12 hs (each way)? If you are looking for a seventy-mile stretch of trail to do, the CDT from Wolf Creek Pass to Cumbres Pass is fantastic. Right through the heart of the San Juans and you can probably easily arrange shuttling via the local rafting companies in Pagosa Springs. Or shuttle to Cumbres Pass, get to Wolf Creek Pass and hitch pack to Pagosa fairly easily.There are some shuttle companies listed in my CT guide that should be of use. 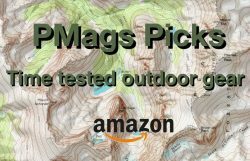 With the Atlas (Guthook) Guide and the CDT specific maps (or even the NatGeo TI map), easy to navigate as well. The total stretch is just shy of 70. That’s what I would do. And DEFINITELY worth the trip. Considered to be one of the highlights of the CDT by many. Early July should be a good time as well assuming no very late season snow dumps. I’m thinking of doing the collegiate loop or part of it with friends this summer. Do we need permits? And do you know if this trail is dog-friendly? No permit needed. Dogs are allowed. And the tread is excellent. Just follow leash laws as appropriate. Have fun! Are bear-canisters required for the loop trail? At this time they are not. Nice write-up. Quick question – any chance this loop is possible from late June to early July? Will snow be a big problem? This year? Probably not. Record snowpack and a lot would have to melt off quickly. About July 10th, esp. the higher areas, is more realistic.